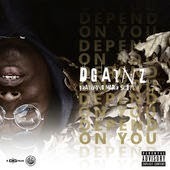 CHI- DGainz of the Distinguished Gorillaz Records drops the official video to the single "Depend On You" featuring Madie Scott. DGainz not only produced the track but also directed the video along with BLones23. Follow the rapper, producer and director on Twitter @dgainz!